The year 2018-19 is the 25th anniversary of FRLHT-TDU. We started our journey in mid 1993 with the pioneering and ambitious national mission to revitalize India’s medical heritage. The conviction underlying this mission was that Ayurveda and the community rooted local health traditions have contemporary relevance. What have we achieved during the last 25 years? During 1993-2018, we have demonstrated ability to create the foundations of an innovative and unique institution. We have created a knowledge base and infrastructure, for the Indian Health Sciences. TDU hosts the country’s only national herbarium of medicinal botanicals supported by reliable multi-disciplinary databases on medicinal plants and traditional knowledge. It has established scientific laboratories, designed to work on Ayurveda-biology. We have technically conceived and guided the creation of the world’s largest network of insitu conservation reserves in 110 forest habitats across 13 States, in collaboration with State Forest Departments. We have stimulated creation of taluka based folk healer network, across 9 States and established a 100 bed research hospital focused on integrative healthcare. The foundations laid during 1993-2013, inspired the State Government of Karnataka in 2013-14 to legislate us into a private, not for profit, University. The quality of these achievements on our campus and in ecosystems and communities across several States have generated public confidence in the revitalization mission, evidenced in the public support received. Our work has received support from Tata Trusts, Ford Foundation, Infosys Foundations, several Ministries of Government of India. 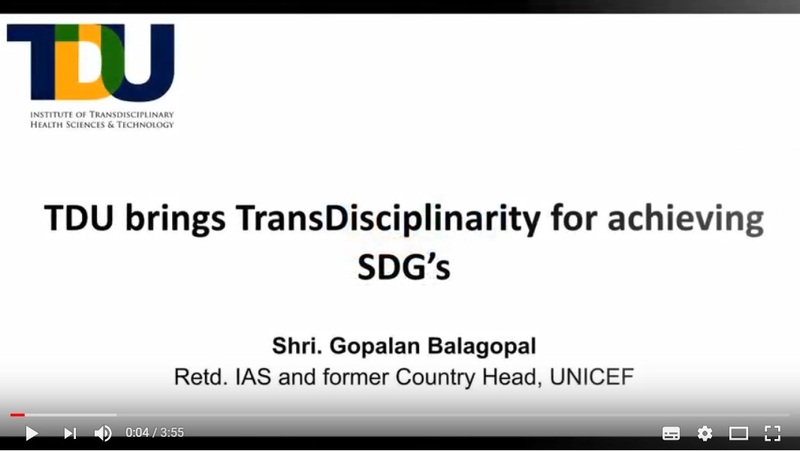 DST, DBT, Environment, Health, from the Danish Government and UNDP, from philanthropic individuals NRI’s from Singapore, the Nilekanis, Mr Shibulal and others, corporates like Dabur, Himalayas, JM Financials. We have received several national and international awards. Our experience has deepened our conviction of the contemporary relevance of India’s medical heritage and its strategic role in the emerging integrative healthcare space opening up at national and international levels. A basic learning is that journeys on uncharted paths must have ups and downs and persistence and sacrifice is necessary to remain steadfast. Looking ahead, we are convinced that Indian Health Sciences because of their systemic perspective combined with the molecular perspective of modern biology will extend and shape some of the frontiers of knowledge in health sciences in the 21st century. FRLHT founded in 1993, evolved in 2013-14, into The University of Trans Disciplinary Health Sciences and Technology (TDU). FRLHT is a public Trust and TDU is a State Legislated private, not for profit University. The two are separate legal entities but as per the TDU Act, FRLHT is the sponsor of TDU and hence they have an organic relationship similar to a parent and its off spring both distinct persons, but organically related. TDU received a statutory endowment fund from FRLHT for its inception. 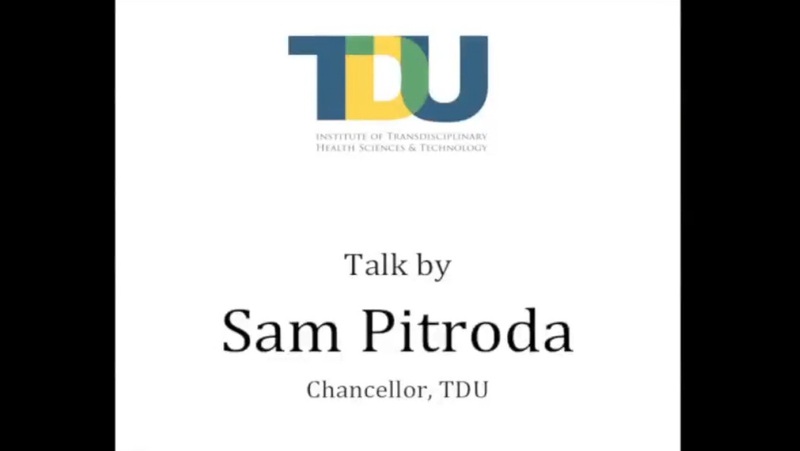 FRLHT- TDU’s perspective is limited to healthcare space. In this space our passion is to demonstrate the contemporary relevance of Ayurveda. While Ayurveda is our passion, we certainly respect strengths of modern western health sciences and healthcare but also realize limitations of both. While in western biomedicine there are hundreds of big and small domestic and global players in health services, manufacturing, research and medical education with huge investment running into trillions. In comparison, Ayurveda is largely India centric with negligible global presence and a total estimated turnover of around 10 billion in industry and health services and negligible investment in Research. Ayurveda’s strength derives from its deep connect with nature and its highly evolved epistemology. Ayurveda’s core strength stems from its incredibly holistic world view rooted in the observer-observed framework of sankhya, its profound five valued logic derived from nyaya and vaishika, its understanding of systemic change in life processes that use algorithms (sutras) based on refined qualitative parameters and pattern recognition. Ayurveda has remarkably insightful theory of disease progression (shad kriya kal) and chronobiology. It possesses an ecologically sensitive scheme of diagnostics (das- vid-pariksha). It has demonstrated clinical acumen to observe, classify and establish causality (karya karan vivechna). It has core strength in prevention, wellness as well as treatment of NCDs. Its strategies for immunity (vyadi shamta) and tissue regeneration (rasayana tantra) can lead new research at the 21st century frontiers of healthcare. 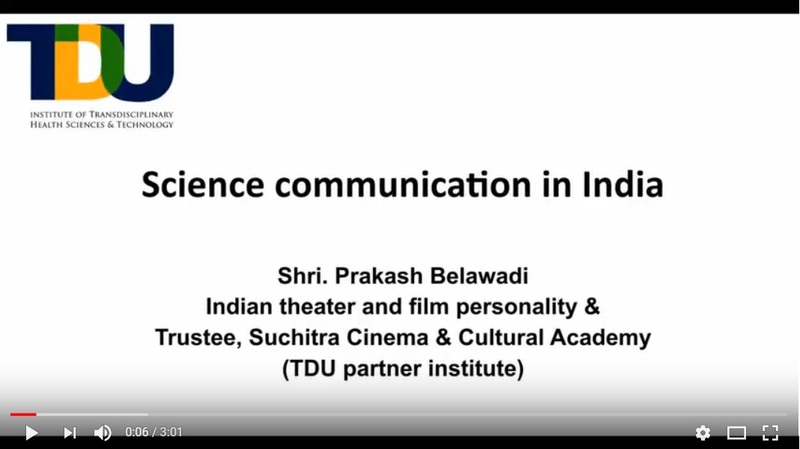 Its systemic pharmacology (dravya guna shastra), its thousands of brilliantly designed food and drug formulations (bhaishaj kalpana) with undiscovered pharmacokinetics and dynamics can feed a new paradigm of drug discovery for syndromes and personalized nutrition science (nutrigenomics) for decades to come. Its deep understanding of the influence of food, metabolism and lifestyle on physiological processes in particular phenotypes which correspond to genotypes, can guide epigenetics and predict health trajectory of individuals. Ayurveda also has an inspiring symbiotic relationship with village based health traditions, wherein millions of homes and community based healers, use ecosystem specific plant resources for health security of humans, livestock and for agriculture. 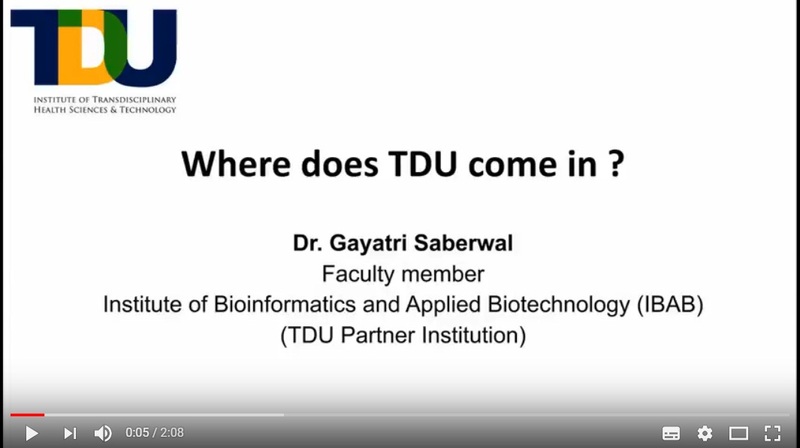 TDU believes Nobel prizes are waiting to be won from the emerging trans-disciplinary field of Ayurveda-biology. Despite its strengths, Ayurveda has definite limitations. It’s theoretical frame cannot generate solutions for management of emergency and acute conditions. It’s understanding of molecular level change is nil. It has to learn a great deal from modern surgical technologies even if in yesteryears it pioneered and gifted surgery to the world. It needs to interface in an epistemologically informed manner, with molecular biology in order to discover its own mode of actions at the structural level. It needs to embrace tools of information technology to organize its enormous multifaceted data, in searchable formats. The challenge before policy makers and investors in innovation is to strengthen and create competent institutions which have the capacity to design and execute bold, path breaking strategies, in education, health services and research, with trans-disciplinary foundations in Ayurveda & biology. 2010: Launched the Journal of Ayurveda and Integrative Medicine (JAIM) which is today globally amongst the top five Journals in the integrative healthcare space. In 1998, FRLHT received the prestigious Norman Borlaug Award for its contributions to Conservation of Medicinal Plants. In 2002 FRLHT was selected by the United Nations for the Equator Initiative Prize, for linking conservation to livelihood needs. Between 2002 & 2010, three Ministries of Govt. 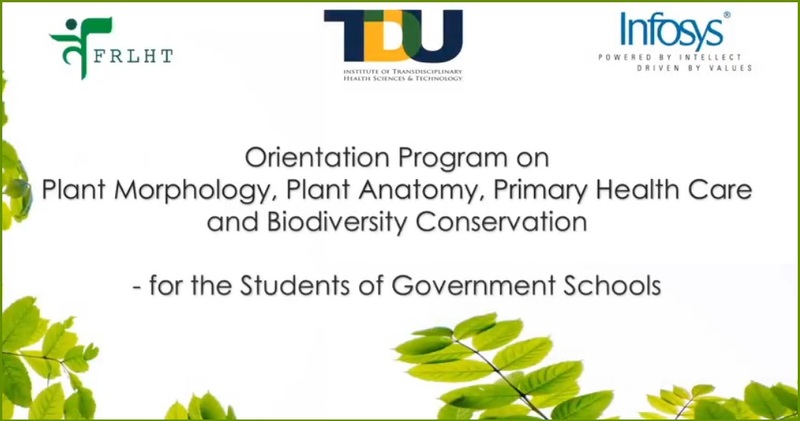 of India viz., Environment and Forest, Department of Science and Technology (DST) and Ministry of AYUSH, recognized FRLHT-TDU as a National Central of Excellence. In November 2003, the Medical School in Columbia University, New York, awarded FRLHT with its first International award for cultural Leadership in Traditional Medicine. In 2018, the All Party Parliamentary Group, UK awarded Ayurveda Ratna to TDU. Conservation of wild gene pools holds the key to survival of species and also for sustainable cultivation because they are essential for selection and breeding. FRLHT-TDU pioneered in 1993 the country’s first national program for in-situ conservation of medicinal botanicals. Prior to 1993 the country was only focused on agro-technology of selected botanicals. Technically supported between 1993-2018 State Forest Departments, to establish 110 MPCAs (Medicinal Plant Conservation Areas), across 13 States, to create the largest insitu Conservation program in the tropical world. 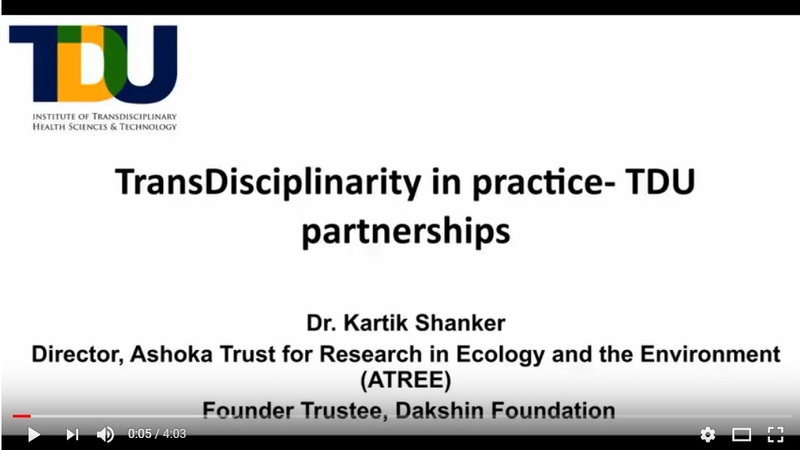 Scientific evidence of identity, occurrence, intra-specific variation and geographical distribution of medicinal species is essential for conservation and sustainable use. Established India’s only comprehensive multi-faceted national database on medicinal plants and traditional knowledge with continuous updation. Contain wealth of knowledge on geological medicinal materials, pharmacology, natural products, therapeutics, diagnostics and nutrition of contemporary relevance. Catalogued 17000 out of an estimated 100,000 medical manuscripts. This will be one of the most powerful global platforms for holistic drug discovery (for humans and livestock) and for food design as it will combine Ayurveda and modern biology and lead to in-silico design of innovative products with knowledge of “systemic” biological actions. Demonstrated in-silico, validation of selected drugs based on both network pharmacology and Ayurvedic pharmacology for selected medicinal plants. Experimental proto-type design of an integrated modern and Ayurveda pharmacology platform as a novel engine for drug discovery and food design. We are exploring a new global program on use of herbal ethno-veterinary products and training for zoo veterinarians for health care of zoo animals. A powerful basic and applied science platform for demonstrating the value of integrating systemic and molecular perspectives of Ayurveda and biology. This program can win Nobel prizes for India. established in 2017 a functional genomics and bio-informatics lab which has capacity to engage in whole genome sequencing, transcriptome, meta-genomics, microbiome, advanced HLA typing and DNA finger printing. Exploring new technology platforms for phage based solutions and for synergy of herbal extracts. Important program for improving quality of animal health, especially for dairy Animal food in India and abroad is becoming a threat to human health because of anti-biotic residues and infections. Initiated training of “elephant healers” in Kerala based on Hasti-Ayurveda. When local occurrence of species in any taluka, town, city is linked to referenced pharmacopeial knowledge, it can provide millions of households and farmers with self-help knowledge of medicinal use of local resources and thus enhance “Universal Health Coverage” and the emerging agenda of ‘One Health’. Designed pilot project to demonstrate and field test the concept of community self-reliance in 3 Talukas, one in Karnataka and two in Tamilnadu. The traditional community health workers are key players and part of a parampara that has been serving villages in India for centuries. This parampara does not depend on governments for its support. It is entirely dependent on local households who compensate folk healers for their services. Developed and field tested a certification and accreditation program in collaboration with Quality Council of India. Field tested the program and strategy and certified 500 folk healers across several States. Facilitated the establishment of National Network of folk healers at Taluka levels across 9 States. Future of healthcare globally will depend on integrative healthcare strategies as no single system has best solutions for health needs of population. Today it has a turnover of around Rs 11 cr/yr and footfalls of around 40,000 customers/yr. As a policy we service all customers irrespective of their economic status. We cater to health disorders related to systems like muscular skeletal, neuro, skin respiratory, cardiac, ENT, reproductive, metabolic, dentistry. We also deal with non-healing wounds, complementary therapy for cancers. The hospital has demonstrated proof of concept that support its replication in India and abroad. The following are the approaches we are working on to become financially sustainable. Creating a corpus of Rs 400 crore that will give an annual assured seed institutional fund of ~Rs 30 cr/yr (at 8% interest). The current corpus is Rs 50 cr. Engaging on Translational Research that can earn grants, consultancies and revenues from services. Design strategy to have a 50:50 mix of industry funded projects and research projects supported by government and private public interest foundations. Scale up research degree courses (PhD and Master’s by Research) to increase the total students strength to around 100 students/year. This program will not generate surplus revenue but may be self-financing and support the research teaching/mentoring faculty for the time they spend on the programs. Licensing our databases, consultancies & technology-transfer on suitable terms. World class, innovative Post-Graduate integrative Health Sciences education for licensed medical graduates in India and abroad (outside the framework of CCIM). Being a University we can award post-graduate degrees. However outside the CCIM framework, our degrees will not be medical degrees. They will be degrees in health sciences for students who already have medical degrees at the bachelors level. The reason for such a strategy is that if today we step into the conservative CCIM regulatory framework, innovation will be impossible. Pune University for example offers both PG and PhD non-medical degree programs in health sciences. Decadal research programs on Ayurveda biology. The research will be focused on themes of global interest that can impact the world of medicine. Research priorities will be carefully set and selected themes will be pursued for 10 years at a stretch. Examples of potentially high impact research will be on program like: citizens app for health monitoring and education chronobiology, holistic theories in nutrition science, immunity, regenerative biology, microbiome, biology of taste, biophysics of endothermic and exothermic metabolism, pharmacodynamics and kinetics of herbo-mineral formulations, metabolic effects of detoxification therapies, new theories for bio-regulation and pathogenesis, ethno-veterinary sciences, revitalization of local health traditions and in-situ conservation of wild gene pools of medicinal botanicals. Replication of evolving University hospital model on integrative healthcare services, in Indian cities and to be begin with in strategic locations in the non-western developing world in Middle East, Asia, Africa, Eastern Europe and Central America. In a second phase the model can be exported to Western Europe, North-America, Australia and other regions.